For Cardiff residents Dr. Jeffery and Diana Schaefer, Beam Orthodontics is the realization of a dream. After one year and 4 days from setting their eyes on the space that would become Beam, Dr. Schaefer, a board certified orthodontist, and Diana, a dental hygienist, are thrilled to announce the opening of their practice. Obviously, they are passionate about teeth! Dr. Schaefer and his wife's enthusiasm and expertise will shine through in every aspect of Beam, which they privately own and operate, one mille from their home. 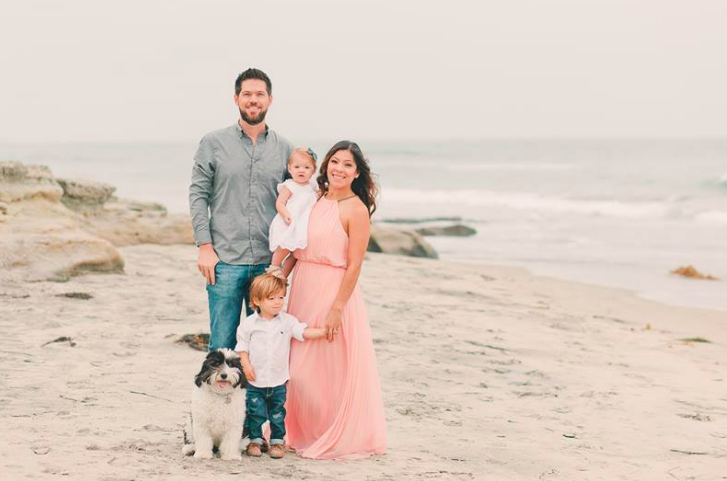 It is important for them to live, work, and, raise their children in Encinitas. They are passionate about their give back, so please do not hesitate to ask them to sponsor your team or organization. Beam Orthodontics will specialize in orthodontics for people of ALL ages. Creating beautiful smiles and healthy bites is their job. But for a patient, orthodontic work can become a lifelong journey, one that can open new doors and lead to once unimaginable opportunities. Through excellent orthodontic care at Beam, Dr. Schaefer looks forward to witnessing this transformation in all of his patients. While the Schaefers worked hard to design the office to perfection, they believe their biggest difference is how Dr. Schaefer and his team will make you feel at the office. Dr. Schaefer is a funny and charismatic guy, and he truly cares about and you and your story. His "Beam Team" will make you laugh as they work to straighten your teeth and correct your bite. Throughout California and Texas, Dr. Schaefer spent nearly a decade practicing as an orthodontist. As a diplomate of the American Board of Orthodontics, he is committed to delivering excellent orthodontic care. He offers the latest advances in technology, from Invisalign and lingual braces (braces hidden behind your teeth) to the Damon system and an intra-oral scanner that eliminates the need for impressions. Beam's goal is to minimize your treatment time yet maximize your results and comfort. Beam is 100% digital and offers OrthoFi, an online service that makes the financial aspects of treatment flexible and convenient. Dr. Schaefer is in network with most PPO insurance plans and they are happy to verify and accept assignment of benefits. As much as Dr. Schaefer enjoys helping children and adolescents, he also loves working with adults. So the office was designed to appeal to people of all ages. Yes, we will offer kids a chance to play video games and watch tv...but the office vibe has a unique, coffeehouse feel, and patients will even find their office—and work—fun and relaxing! They carefully selected every detail, and they did it all with one goal in mind: to ensure every patient of theirs is taken on an amazing journey. As a start-up, the Schaefer family is working hard to spread the word about Beam Orthodontics. They look forward to meeting you at the office or around town soon! It's your smile. Let it Beam!